Compare Turf Prices based on like for like turf. Quality is key! When buying your turf, The price can be a big factor but be sure to check that you are getting value for money. Turf prices can vary a great deal but so can the quality and maturity of the turf as well as the delivery service. 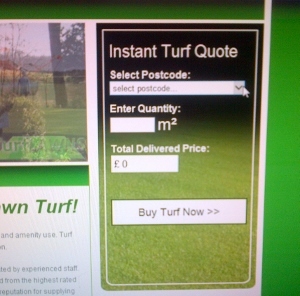 The Price quoted by the Turf Lawns calculator on the right of this page is the total price you will pay for a next day delivery. The price includes the delivery of the turf and there is no VAT to pay as we are on the agricultural flat rate scheme. We do not add charges for administration or credit card payments. 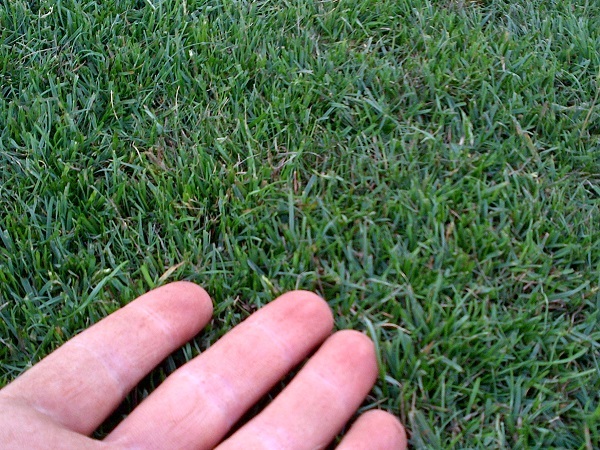 The price of turf is likely to be based on the quantity of turf that your order. Small orders of turf are generally more expensive than ordering a substantial quantity. View the turf lawns website for turf specification, pictures and videos so that you can accurately compare the turf price based on the quality that we offer. We can not guarantee to be the cheapest but we do strive to offer the best price based on the turf standards. Turf lawns offer quality assured turf grown to specific standards and harvested in 24" rolls. Our turf is freshly cut to order and delivered on an overnight distribution service. 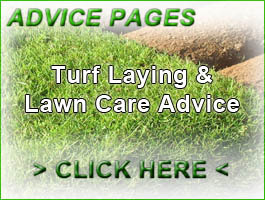 See the right of this page for an instant quote and to buy your turf online today.